Life and Breath Photography - Christmas Cheer! Are you ready for Christmas? The Drebes family is! They get in the Christmas season early in November, which means their family can enjoy the holiday season earlier than most. 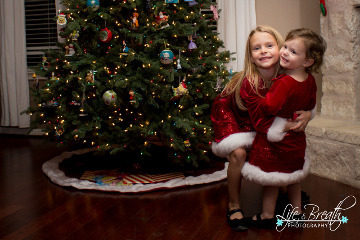 We did a photo shoot at their house and it was fun to capture all their Christmas Cheer! The youngest is precocious and smart, while the oldest acts twice her age and knows more about Jesus than most adults! What a great time we had!